Another game-craze cake! 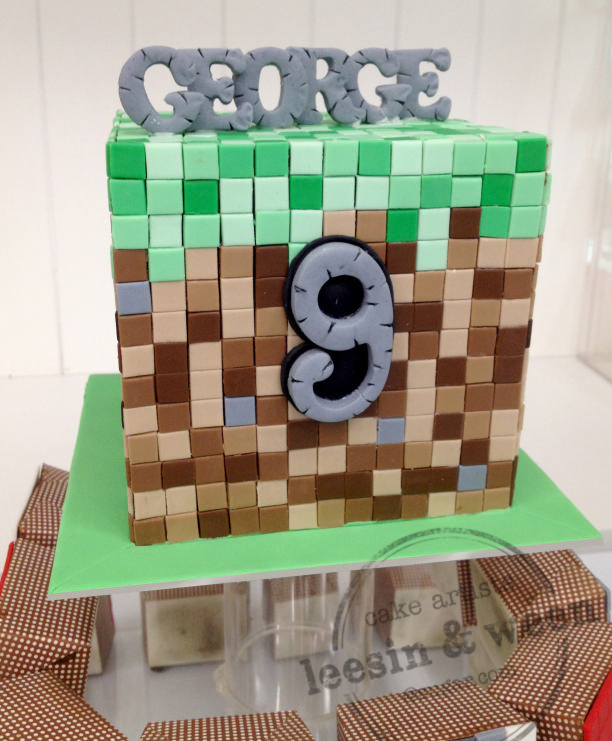 This was the second request for a Minecraft cake. Because of tight schedule we could not take the first order. But I guess if we had taken that order we might not be jumping into this one with such excitement. 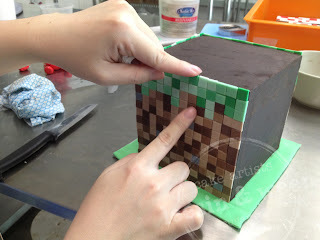 It was so time consuming cutting those little squares in so many colors and shades with fondant. 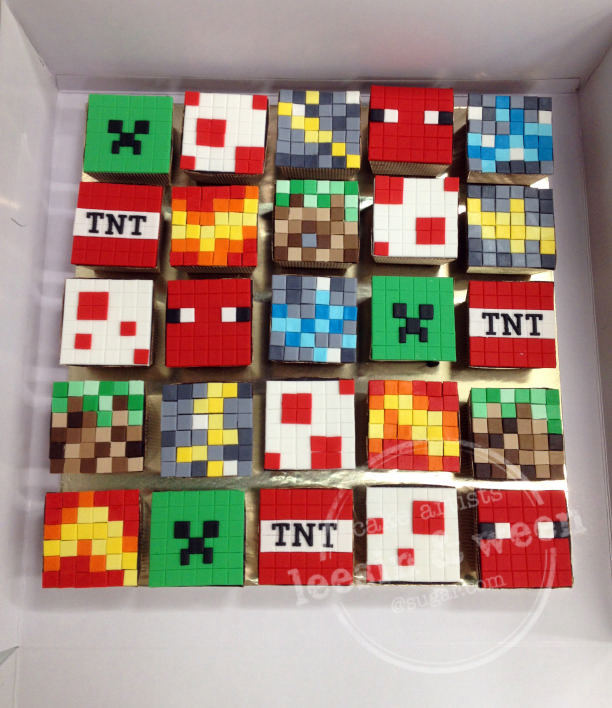 Believe it or not there were a total of 1850 squares in this set!!! Pieced together one by one!!! And getting each one align to another in straight line horizontally and vertically. 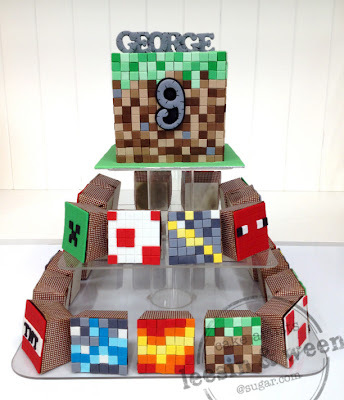 Commissioned by Mummy Yani for George's 9th birthday this cake was presented as a cupcake tower with a CUBE minicake and 25 square cupcakes. 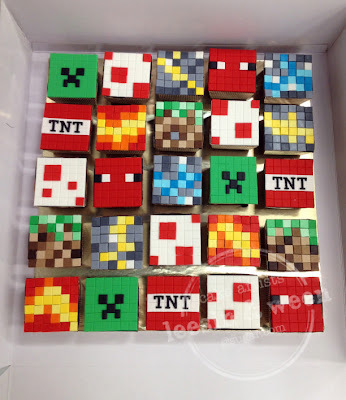 We felt that square cupcakes will look better for cubic design topper. What do you think? Unique, huh? Our customer was so excited when she came to collect them and messaged that it was a big hit in George's school amongst friends, teachers and family too.